Which Of These Horror Writers Only Achieved Fame Posthumously? After Exposure To Factory Waste, French Bees Were Found Producing What? It isn’t unusual for a writer to only achieve fame posthumously. Emily Dickinson’s poetry, for example, now internationally recognized, was read by a mere handful of people during her lifetime. What is unusual, however, is for an author of such exceptional influence as to be called the father of modern horror and the founder of an entire genre, to be almost entirely unknown in their lifetime. Yet such is the case with H.P. Lovecraft. 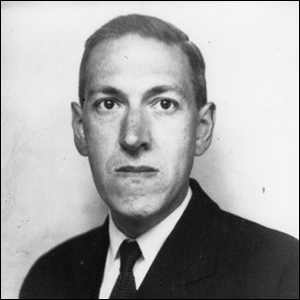 His influence on the genre of horror story telling is so profound that his very name has become an adjective, Lovecraftian, to describe horror story telling influenced and shaped by the style of horror of the unknown (and in some cases outright unknowable) that permeates his works. In fact, just a single portion of Lovecraft’s work, best encapsulated by his short story The Call of Cthulhu, has given rise to the shared fictional universe known as the Cthulhu Mythos that has served as the backdrop for everything from movies and television shows to various types of games. Despite the incredible influence H.P. Lovecraft exerted on the history of the horror genre and modern horror storytelling, during his lifetime he was only published in pulp magazines, lived and wrote in virtual obscurity, and despite the posthumous fame he enjoyed, he was unable to support himself as a writer and died in poverty at the age of 46. If nothing else, there is a sort of irony that a writer whose greatest calling card was protagonists who experienced pure terror in the face of the unknown was, himself, unknown in life.